Liu Xiaobo is currently serving an 11-year prison sentence for helping to write Charter 08 Chinese dissident Liu Xiaobo was sent to prison in part for helping draft a manifesto calling for political change in China. Charter 08 advocates a whole series of reforms that would result in a separation of powers, a new constitution and legislative democracy. It says the Chinese Communist Party's approach to modernisation has been "disastrous". If its suggestions were introduced, it would mean the end of the current political system that the party has fought so hard to maintain. Charter 08 was issued in December two years ago to coincide with the 60th anniversary of the adoption of the United Nations Universal Declaration of Human Rights. It took its inspiration - and its name - from Charter 77, a political document written in Czechoslovakia at a time when it was under the Soviet Union's sway. Charter 08 is divided into three parts; the first looks back at China's recent history, the second outlines the authors' fundamental principles, the third presents a list of suggested reforms. Its verdict on the last 61 years of rule by the Communist party is damning. "The political reality, which is plain for anyone to see, is that China has many laws, but no rule of law," it reads, according to a version translated by Perry Link, a US expert in Chinese studies. It declares that the decline of the current political system has reached a point where change is no longer optional. The authors' fundamental principles laid out in the charter's second section include ideas such as freedom, human rights, constitutional rule and republicanism. It recommends competitive elections for important official positions. "Democracy is a modern means for achieving government truly 'of the people, by the people and for the people'," the manifesto says, echoing words used by US President Abraham Lincoln in the Gettysburg Address. The main part of the document details 19 reforms the authors advocate. They include suggested changes to the political system, such as a separation of powers and an independent judiciary. It wants the crime of inciting the subversion of state power to be abolished - the very crime that Liu Xiaobo was convicted of in December last year. Charter 08 also calls for genuine freedom of expression. "We should end the practice of viewing words as crimes," it declares. It also advocates reforms to the education system, which the authors believe helps underpin the party's rule in China. "We should abolish political curriculums and examinations that are designed to indoctrinate students in state ideology and to instil support for the rule of one party," it says. Some of the reforms suggested, such as freedom of speech, are already supposed to be guaranteed by China's existing constitution. China's top leaders - most notably the premier, Wen Jiabao - have also themselves raised the idea that the country's political system should be reformed. But the authorities were so concerned about Charter 08 that they put pressure on many of those who supported it. Some were simply asked to withdraw their signatures. 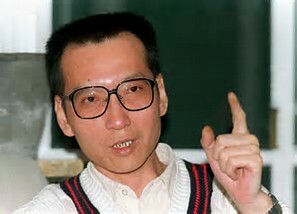 But Liu Xiaobo, as one of the authors, was given a harsher sentence. He is currently serving an 11-year jail term at a prison Jinzhou in northeast China.